One person died in a fast moving fire in Brielle this morning. 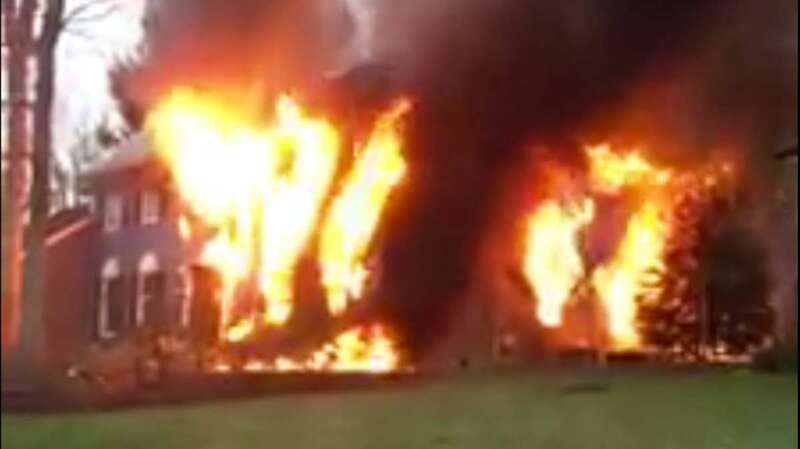 The residential blaze at 11 N. Tamarack Drive broke out around 7 a.m.
A dramatic video posted by @themadgreekday on Twitter at 7:09 a.m. showed a portion of the house fully engulfed in flames. One person was found dead in the house, Police Chief Michael Palmer tells the Asbury Park Press. A middle-aged man was killed, and his sister was transported to an area hospital, News 12 reports. 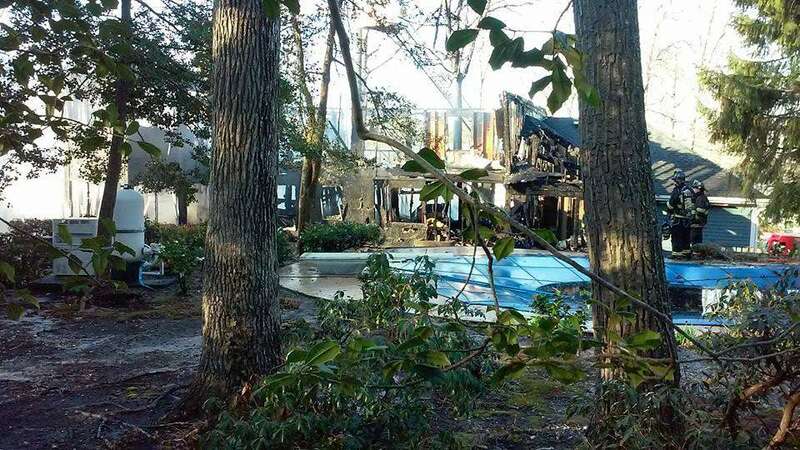 The fire was mostly knocked down around 7:30 a.m., according to emergency radio transmissions. As of 8:30 a.m., numerous agencies remain on the scene. JSHN contributor Mike Jensen, a resident on the adjacent Valley Road,‎ praised the fire department response, sending the firefighters a “big thank you” for keeping the blaze from spreading.